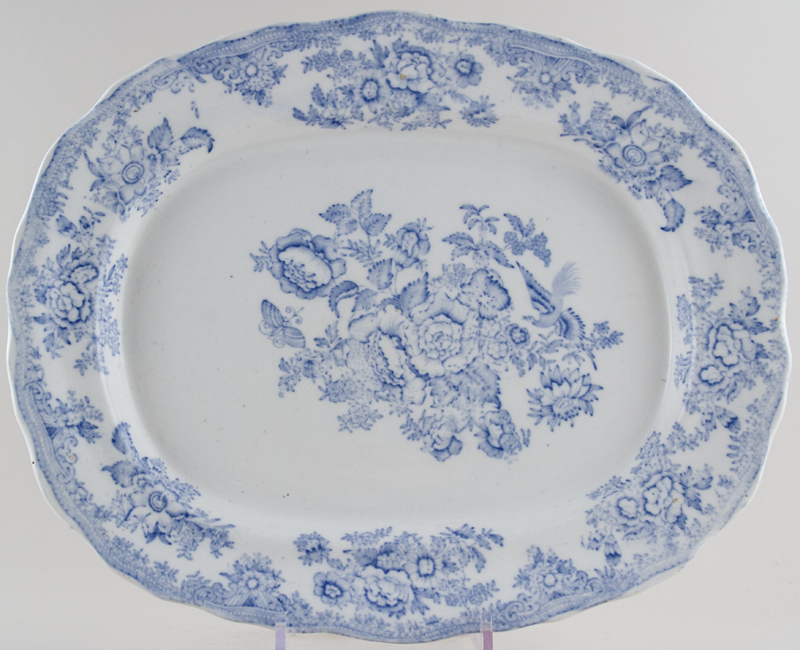 This is a lovely platter printed in a soft blue. There is a little light surface scratching otherwise this is in superb condition. The transfer to the face of the platter is slightly off centre. OVERSEAS SHIPPING OUTSIDE EUROPE Owing to the size of this item a supplement of � about US$52 will be added to the standard overseas shipping charge.